Body: Pale, lightly carbonated with a slight foam. Flavor Profile: Very mild with almost no flavor. Most like a slightly alcoholic Martinelli’s. User Profile: Sober student looking for a relaxing midday buzz. Don’t be fooled by the “hard” in the name, this Granny Smith Hard Cider is not very strong. It tastes more like Martinelli’s than any hard cider I have had in the past. Since one bottle sets you back $2.50 with only 5% alc/vol, this cider is not for those looking to get wasted on a chilly fall evening. I would recommend drinking Granny Smith Hard Cider at lunch after you finish your last midterm as a relaxing treat, or casually with friends on a school night dinner party. 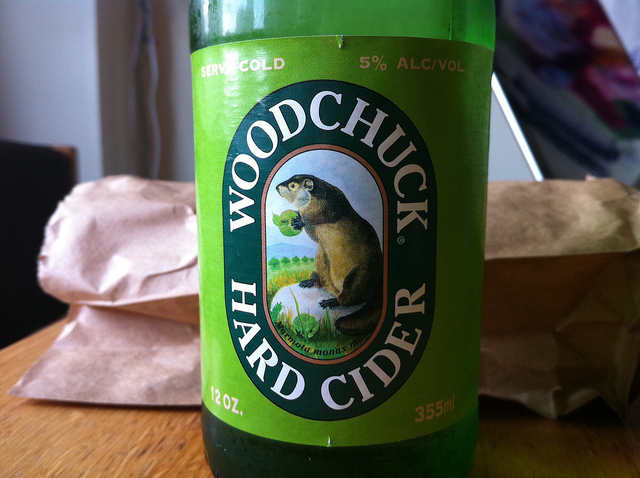 Personally though, due to the sober flavor of this “hard” cider, I would just opt for beer instead.